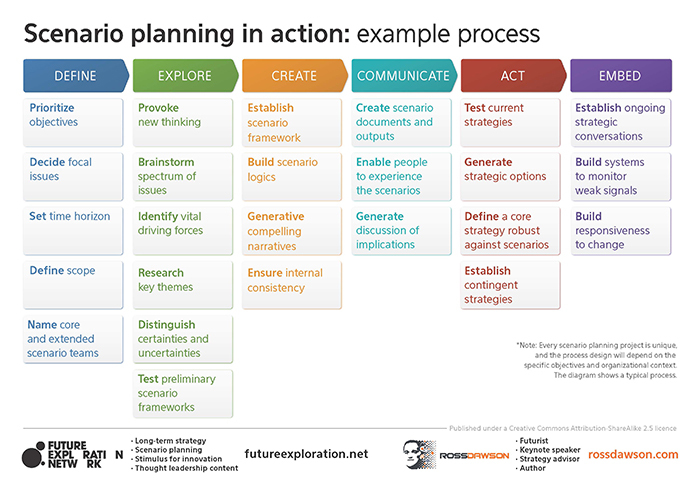 Future Exploration Network applies a range of tools and approaches to assist its clients to develop clear, actionable strategies in highly uncertain environments. We have deep expertise in applying scenario planning to build robust strategies. 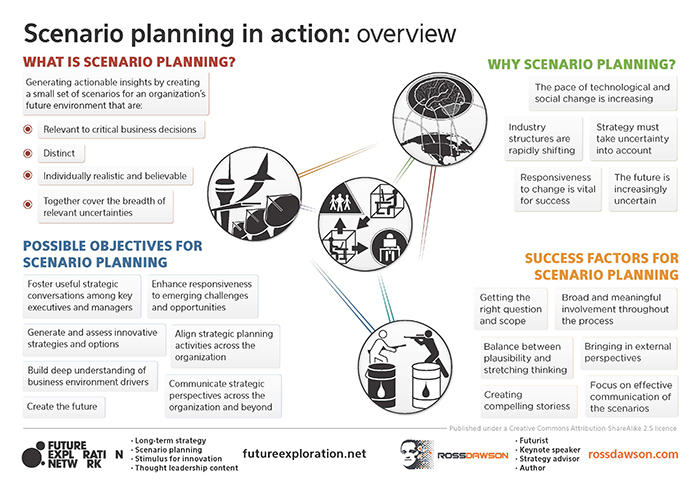 To assist our clients we have created a visual guide to the practice of scenario planning, shown below. Depending on the organization’s objectives, there are many variables in how scenario planning is done. This visual provides a high-level overview of some of the key issues.